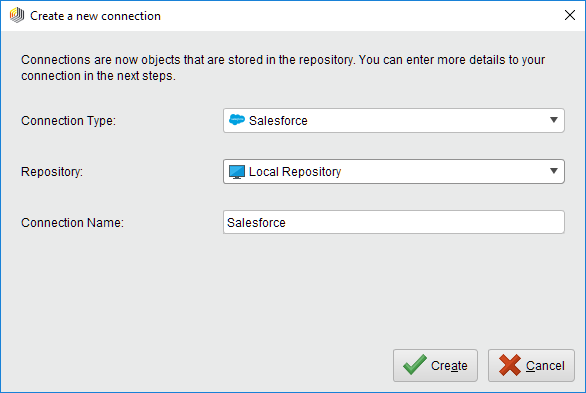 Before you can use the Salesforce connector, you have to configure a new Salesforce connection. You will need the connection details of your account (username, password, security token, URL) to set up the connection. Open the Manage Connection dialog via Tools > Manage Connections . Give the new connection a name and for Connection Type select Salesforce Connection. The username and password are the same credentials you use for the Salesforce website. Your Salesforce account includes a security token that RapidMiner needs to make a connection. You can get the security token from your Salesforce registration mail. If you do not have the registration email, you can reset the security token. Click Save all changes to save the connection and close the Manage Connections window. You're ready to start using the Salesforce operators! Select your Salesforce connection from the connection drop down menu in the Parameters view. 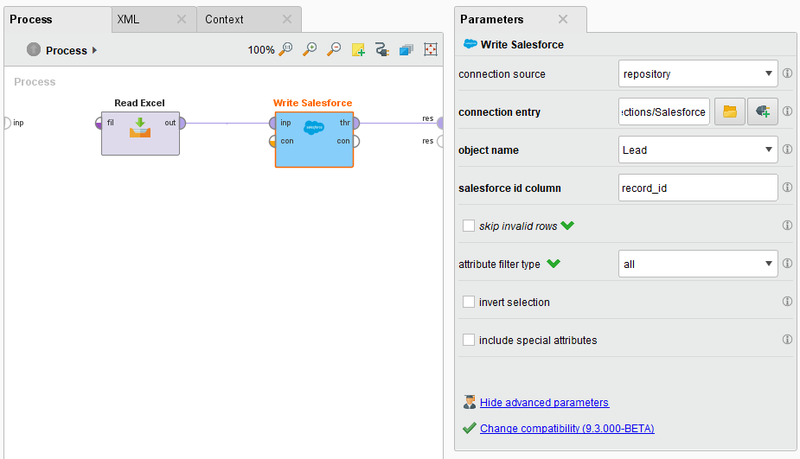 Click on the Build Salesforce Query button to open the query editor. 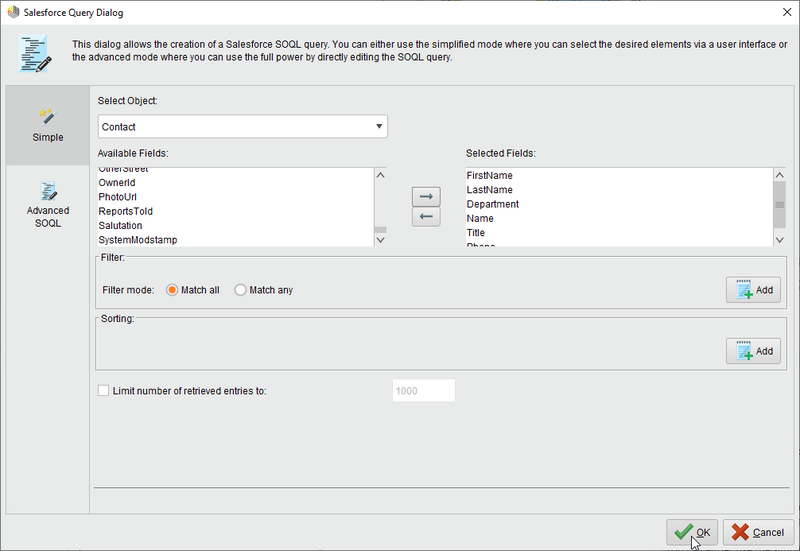 This dialog allows you to create a Salesforce SOQL query. Simple mode (tab at the left of the window) provides you with an interface to build your query; Advanced mode allows you to write your own query. Writing an example set to Salesforce is straightforward: Load the example set and pass it to the Write Salesforce operator. 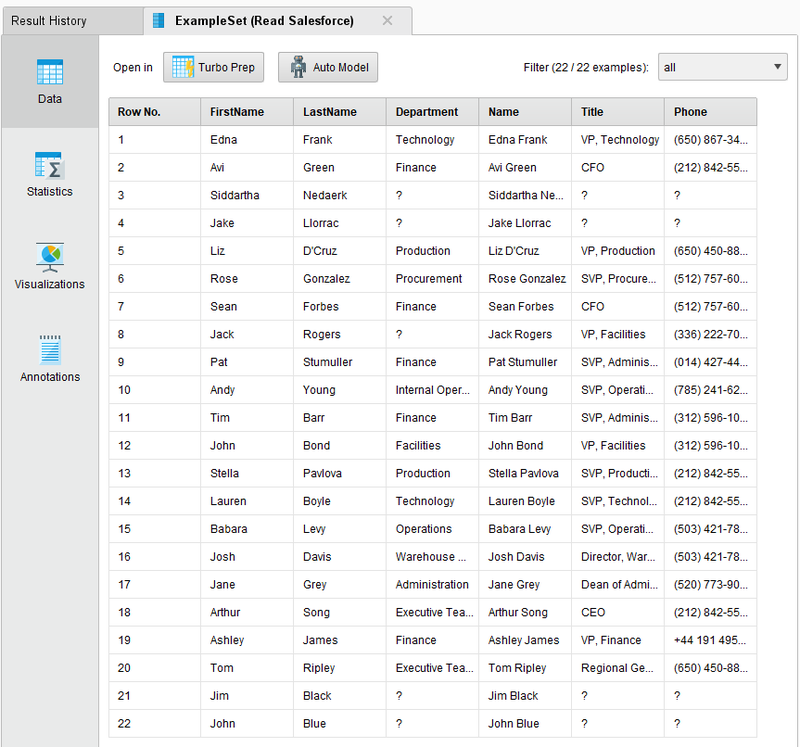 The following example illustrates how to write an excel sheet with demo data to Salesforce. 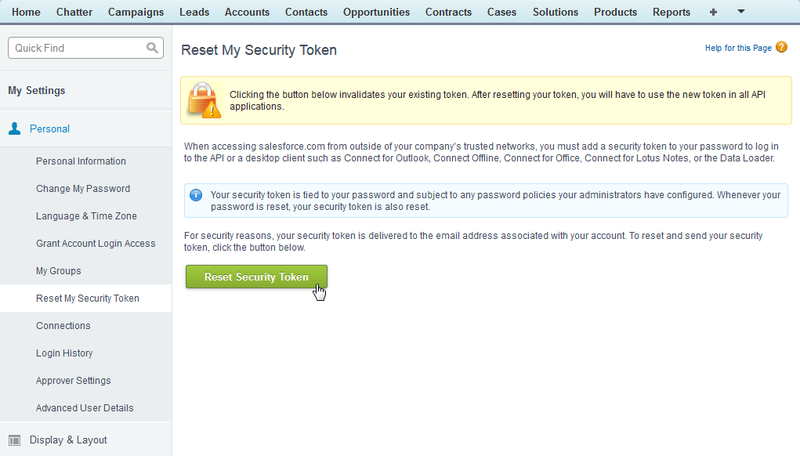 You can reset your Salesforce security token from the Salesforce website. This is a useful feature if you've lost your existing token or you want to disconnect from all applications using the token. Make sure you are logged in to the Salesforce website. Finally, click on Reset Security Token to get a new token via email. Note that by resetting your token, applications will no longer be able to connect to your account until you re-enter the new security token.